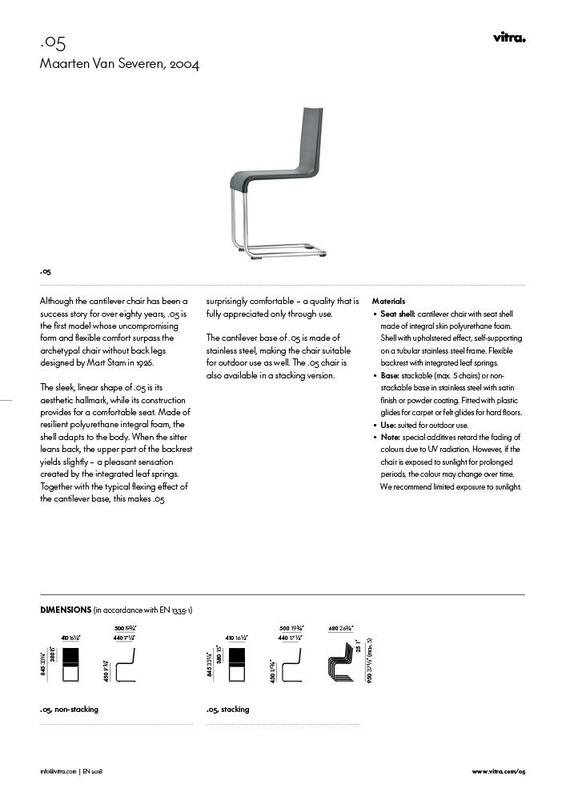 Designed by Maarten Van Severen for Vitra the .05 cantilever chair is characterized by its classic design, but impresses with its ergonomic features. 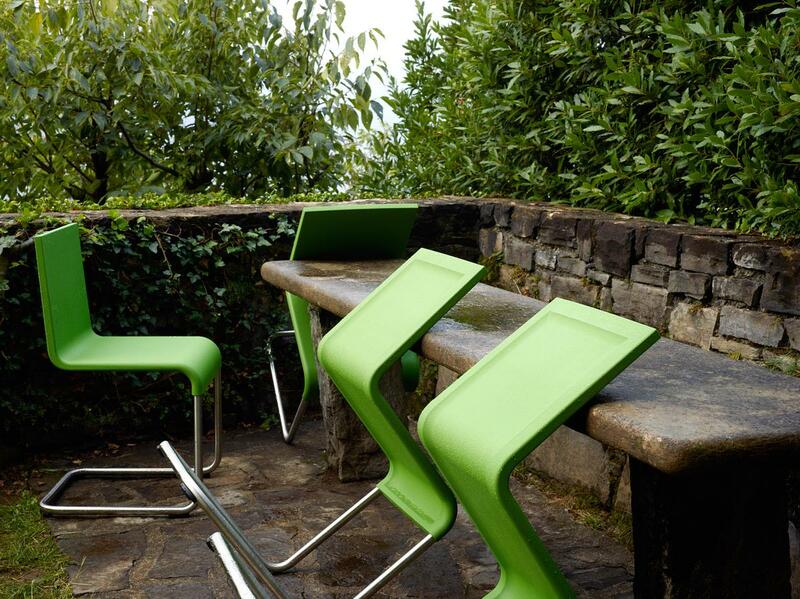 The seat and backrest of the Vitra chair fit snug and are, like the frame, made from sturdy materials that make the Vitra .05 chair also suitable for use in the garden or on the terrace. 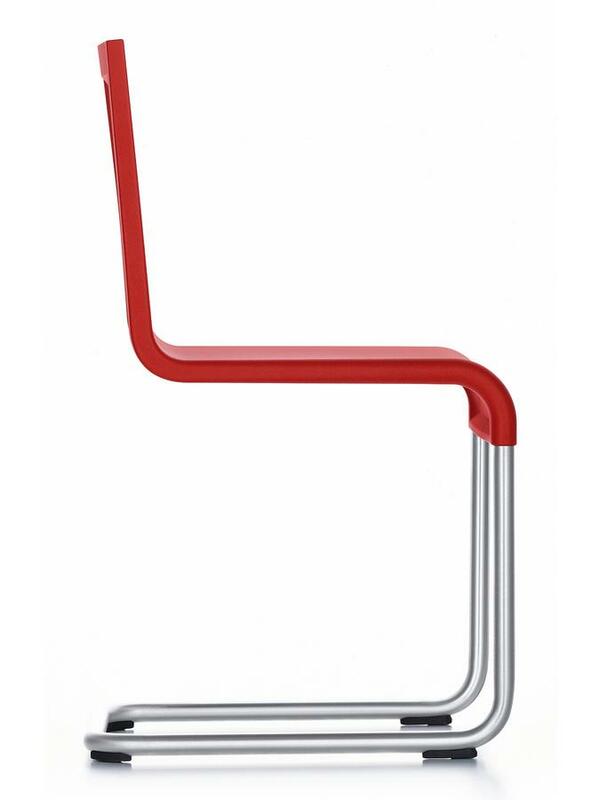 The .05 cantilever chair was designed by architect and designer Maarten Van Severen for the Swiss producer Vitra and impresses as a modern, robust cantilever for both in the living room or in the garden or terrace. 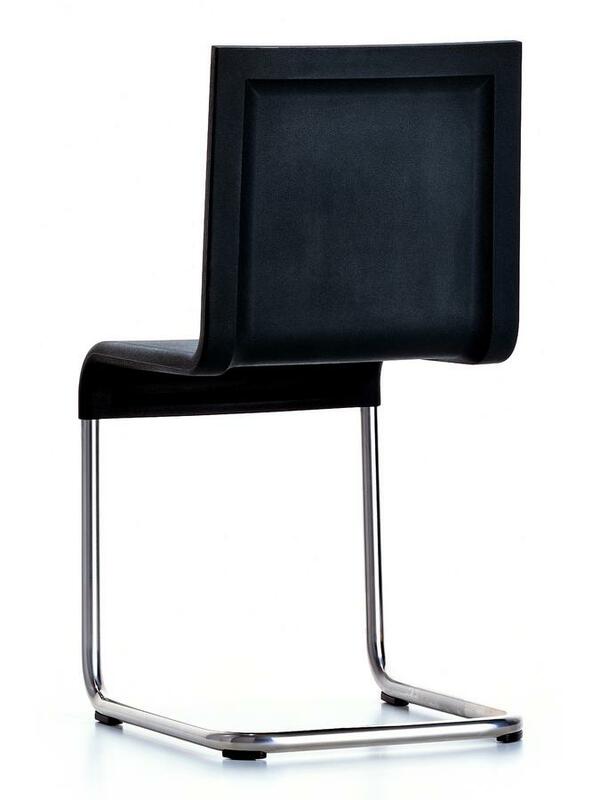 The first cantilever chair was designed by the Dutch architect and designer Mart Stam in 1926; the fact that the Vitra .05 exceeds the seating comfort of Stam's design is due to the ergonomic features of the polyurethane integral foam seat shell. This flexible construct adapts to the movements of the sitter, and thus ensuring unrivalled comfort. 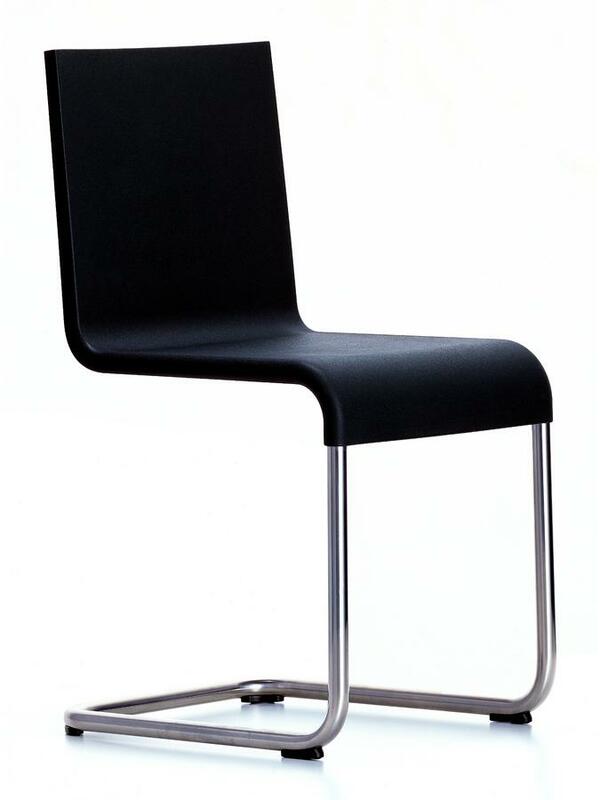 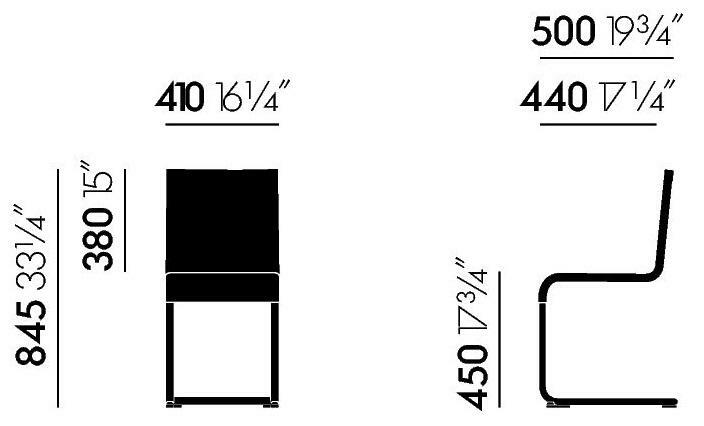 The upper part of the backrest contains integrated leaf springs which support the flexibility in the design. 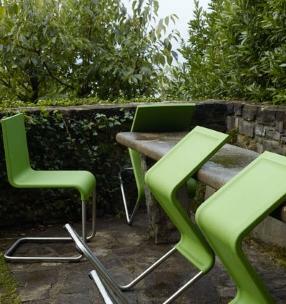 The stainless steel chassis in turn enables the Vitra .05 to be used outdoor, where thanks to its choice of colours it provides for a harmonious, modern impression. 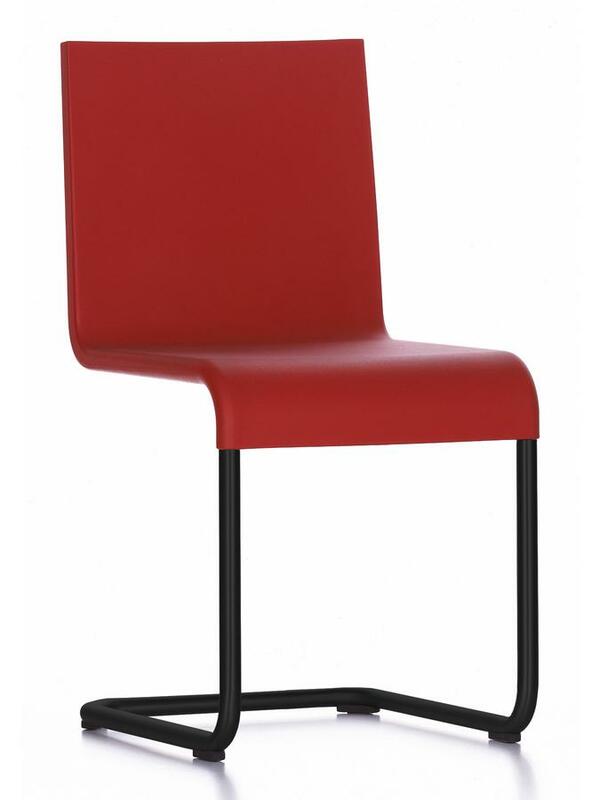 The cantilever chair .05 from Vitra is available in a stacking or non-stacking version and is available with plastic glides for carpets or felt glides for hard floors. 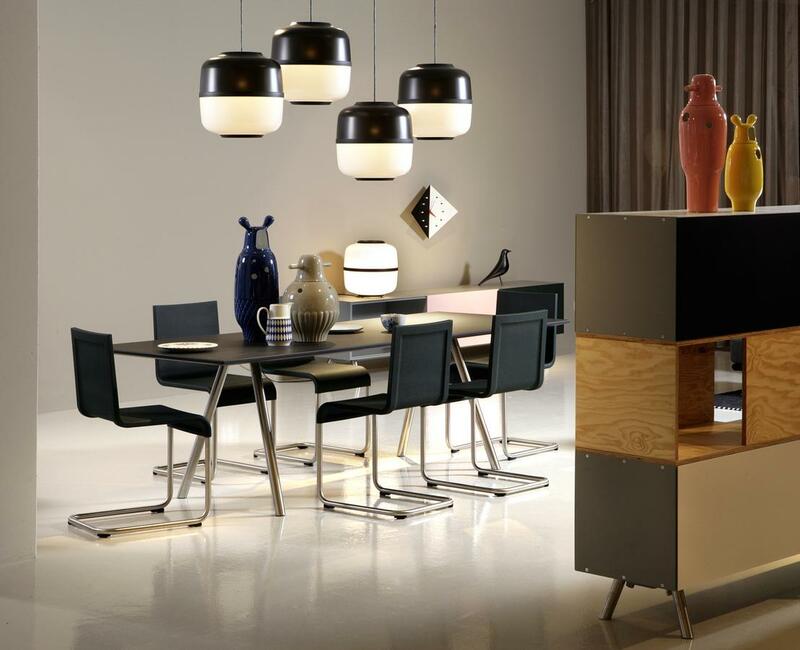 Vitra has operated since 1957 as a manufacturer of contemporary furniture produced in close cooperation with top designers such as Charles and Ray Eames or George Nelson and has developed over the years into a global guarantee for comfort, quality and durability.